CEDARHURST, Long Island (WABC) -- Police are investigating a pair of break-ins just about a mile apart on Long Island. Investigators say the thieves got in through the roof. 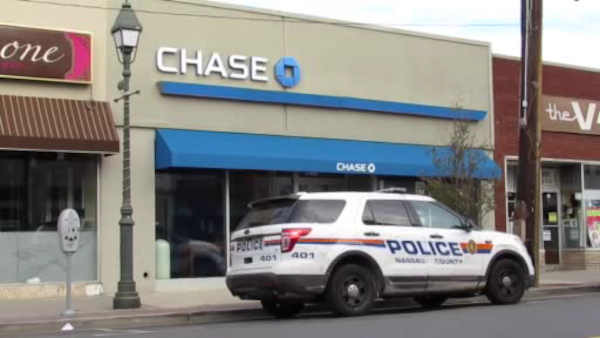 Nassau County police say the first break-in happened at a Chase Bank in Cedarhurst. The second was at a Staples store in North Lawrence. The manager of the store says several laptop computers and tablets were missing. But nothing was stolen from the bank. Police say the crimes could be connected, because of the method of entry.